A little close to our hearts considering the label’s hometown address, Rapp eyewear is an independent frames house from Toronto Canada. 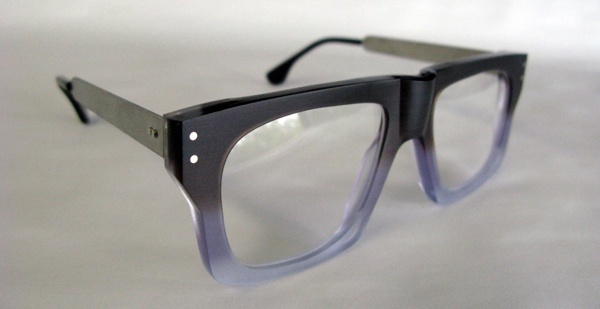 Their handcrafted frames are made in minuscule runs of only 20-30 units and produced twice annually. These are distributed to specially selected opticians and glasses stores. Once a collection sells out, it is never repeated, thus ensuring the label’s exclusiveness. Drawing from art, music, and film the 16 year old, family run, Rapp Eyewear is currently wowing Toronto customers and eyewear aficionados everywhere. Be sure to check out these ever evolving collections. This entry was posted in Collections, Eyeglasses and tagged Canada, Rapp Eyewear, Toronto Canada. Bookmark the permalink.